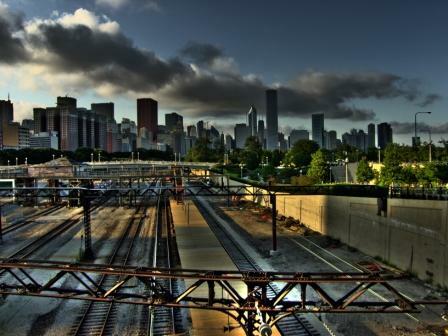 Taken from Roosevelt Road looking North, Chicago, Illinois. This technique is called HDR (High Dynamic Range). This particular one was created with 5 shots with different exposures and then combined into this picture using a software called Photomatix. The intention of HDR is to accurately represent the wide range of intensity levels found in real scenes ranging from direct sunlight to shadows.